Zephyr applications use the olimex_stm32_p405 board configuration to run on the OLIMEX-STM32-P405 open source hardware. It is based on the STMicroelectronics STM32F405RG ARM Cortex-M4 CPU. Information about the board can be found at the OLIMEX-STM32-P405 website and OLIMEX-STM32-P405 user manual. The ST STM32F405RG Datasheet contains the processor’s information and the datasheet. OLIMEX-STM32-P405 has two external oscillators. The frequency of the slow clock is 32.768 kHz. The frequency of the main clock is 8 MHz. The processor can setup HSE to drive the master clock, which can be set as high as 168 MHz. 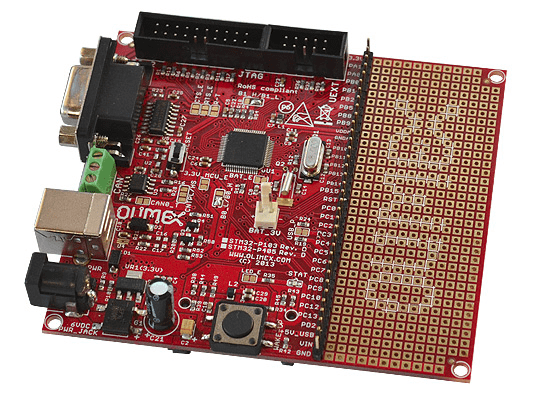 The OLIMEX-STM32-P405 board does not include an embedded debug tool interface. You will need to use ST tools or an external JTAG probe. In the following examples a ST-Link V2 USB dongle is used. The sample application Hello World is being used in this tutorial. 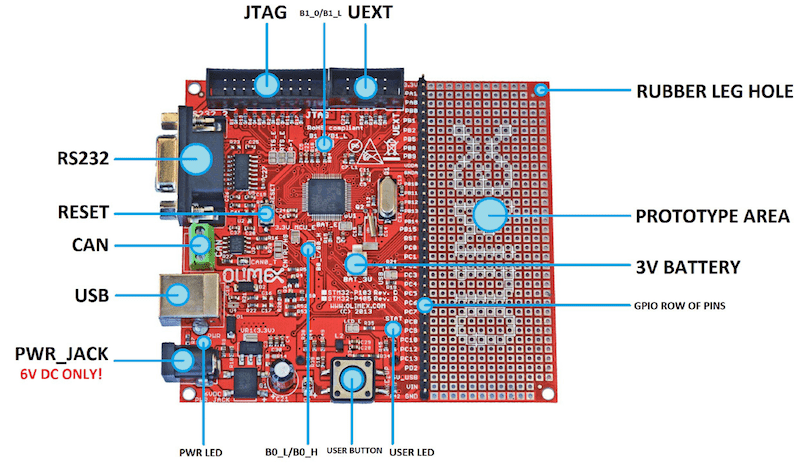 Connect the ST-Link USB dongle to your host computer and to the JTAG port of the OLIMEX-STM32-P405 board. Now build and flash the application.